A large four bedroom semi-detached family home conveniently located moments from Lammas Park and within close proximity of Ealing Broadway station. The property benefits from two large reception rooms, breakfast room, down stairs w/c and a beautiful rear garden with side access. Walpole Park, Ealing Broadway shopping centre and Ealing Broadway station ( future Cross Rail 2018 ) are also within walking distance, there is potential to extend to rear and loft S.T.P.P. 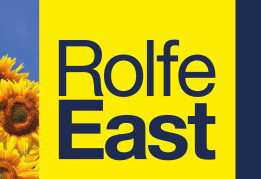 For more information please call Rolfe East on 020 8567 2242.